As e-commerce continues to account for a larger percentage of total retail sales, the importance of efficient warehouse processes becomes clearer. Today’s most prominent online retailers depend on their warehouses for so much more than just storing inventory. In fact, these spaces serve as valuable distribution centers that—when they’re run correctly—allow for smooth fulfillment processes and provide a positive customer experience. In an effort to shorten shipping times, many retailers have shifted from a traditional hub-and-spoke warehousing model to a more diffuse network of local warehouses. This trend means that warehouse capacity is becoming more challenging to secure. To avoid paying the high price of additional square footage, many retailers may look for ways to maximize the efficiency of a smaller space. Working with a logistics partner with warehousing expertise can help retailers identify technological and strategic solutions to do more with less space. Even with careful warehouse optimization, small to midsize retailers with limited budgets may find that they’re unable to afford the warehouse capacity they need to keep their fulfillment operations running smoothly. In these cases, it may make sense to look at some distribution strategies that don’t require warehouse space. With a process called cross-docking, retailers can keep inventory moving directly from suppliers to manufacturers to the final destination, with no need for warehousing. In practice, this usually means moving goods straight from an incoming truck to an outgoing truck with minimal storage time between movement. This process requires careful planning and strong systems in order to get it right, but when it’s well-executed, it can help retailers save money without sacrificing outcomes. Some retail supply chain managers attempt to piece together transportation options to move their goods. But there are significant risks to this approach. The spot market for transportation rates can be fickle, making costs tougher to predict. Selecting carriers without knowing their reputation or degree of reliability can also introduce unnecessary risk into the process. Additionally, a piecemeal approach also means a higher likelihood of inefficiency. Working with a trusted logistics partner helps retailers sidestep these risks, providing more clarity and predictability in the transportation process. With expertise in freight consolidation, carrier selection, capacity sourcing, and the ability to find custom solutions (such as intermodal transportation or LTL shipments) for individual customers’ needs, an experienced third-party logistics (3PL) provider can help retailers optimize this crucial piece of their logistics operations. In addition to providing transportation management, a 3PL partner can allow retailers to take advantage of their specialized expertise in warehousing, cross-docking, and other logistics needs that may arise in the future. 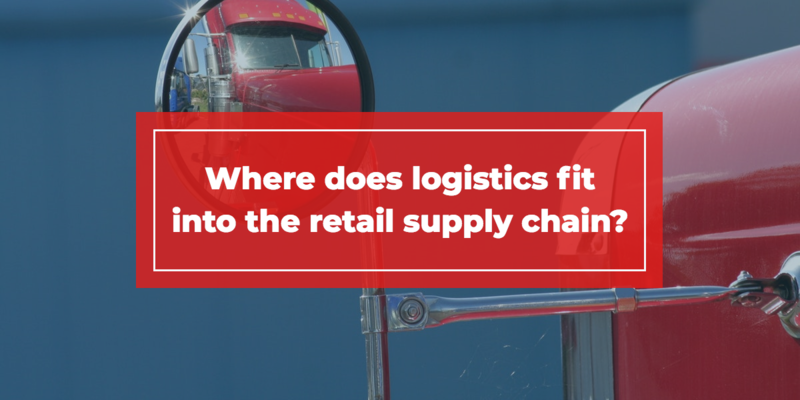 With experience managing detailed concerns while keeping an eye on the bigger picture, a good 3PL can be a valuable strategic partner, allowing retail supply chain managers to turn their focus to the other non-logistics pieces of the supply chain puzzle. Ready to see how an experienced and trustworthy 3PL can make your retail logistics operation run more smoothly? We’d love to talk to you! Contact us today.